Chad Cowan is an award-winning photographer, licensed UAV pilot, and filmmaker who has been chasing storms across America's Tornado Alley over the past 10 years and 150,000 miles. His goal is to capture the awe inspiring beauty of nature in the most extreme and violent weather on earth. Cowan's current film project is a collection of timelapses of these supercells shot in 8k resolution. Growing up in Kansas, the epicenter of severe weather on the planet, he quickly became obsessed with thunderstorms. Inspired by a few timely weather-related gifts from his grandfather at a young age, Cowan decided he wanted to chase them once he had his driver's license. Cowan's photos have been published around the globe and his work has appeared in major motion pictures, and on most national news outlets. In 2010, his 'Icemaker' photo of the supercell that dropped the largest hailstone ever recorded on earth came in second place in a National Geographic photo contest. 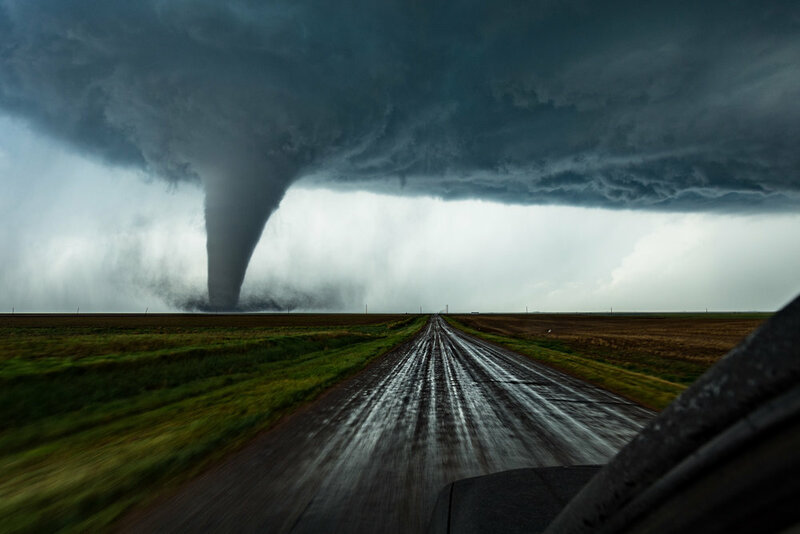 In 2017, his Dodge City tornado photo placed 4th in the All About Photo International contest out of more than 3,000 entrants. He has a BS in Economics from Kansas State University.